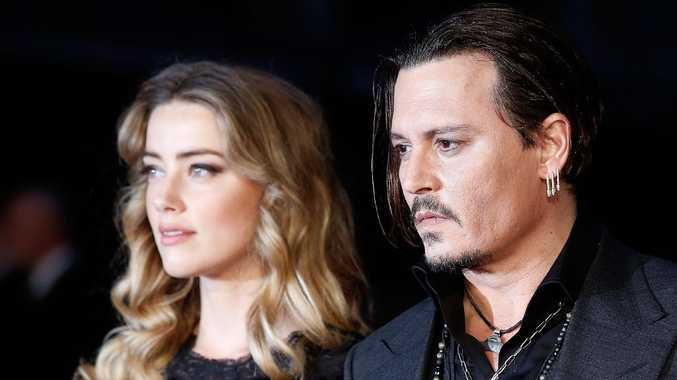 NEW information about Johnny Depp and Amber Heard's violent and tumultuous marriage has come to light in leaked testimony from depositions involving the actress. In deposition transcripts obtained by The Hollywood Reporter, Heard claimed she and Depp had a nickname for his violent alter ego. "Johnny and I refer to his other personality, the part of him that is present when he beats me up - we call that the monster and have called [that] the monster for many years," Heard recounted during a deposition taken amid the divorce. She added, "I was petrified of the monster." She also claimed that on May 21, 2016, at their Los Angeles penthouse, Depp threw her phone at her "as hard as he could" and it hit her in the face. She then claimed the Fantastic Beasts star grabbed her by her hair and she screamed for help. Depp "broke a lot of glass things that left glass on the floor," she stated, resulting in the floor being covered with damaged objects, including silver candlesticks and a lamp. Heard's friend Raquel Pennington then arrived at the penthouse. Ms Pennington testified that she went to their residence after she received a text asking her to. She said her friend had told her that Depp had hit her with the phone and also said that he was "swinging around" a magnum bottle of wine and knocking things off the counter with it. Ms Pennington testified that Depp's screaming eventually prompted his security team to enter, and one of the guards convinced him to leave. She also said that she had taken "dozens of photos" of Heard's bruises. The Los Angeles Police Department officers who responded to Heard's 911 call that night were also deposed and tell a different story from Heard and Ms Pennington's testimonies. Officer Melissa Saenz, in a July 18, 2016, deposition, testified that Heard refused to give her name, so Saenz didn't realise who the famous actress was until weeks later, according to the documents. Ms Saenz said Heard was crying when they arrived, but she didn't see any marks, bruises or signs of injury. She also testified that she inspected the apartment and saw no signs of shattered glass or broken items. Ms Saenz testified that Heard repeatedly "shook her head" in response to questions and Ms Saenz ultimately determined that she had no probable cause to believe a crime had been committed. Officer Tyler Hadden, who was also on the scene that evening, shared similar testimony. Mr Heard, however, defended herself in the documents, saying she declined to give an official statement on the advice of her lawyer. Ms Pennington also claimed the officers saw "all of the damage," including the broken glass, and offered to "go arrest him right now" if Heard filed a report, but Ms Saenz and Mr Hadden denied in their depositions ever saying that. Depp has vehemently denied all allegations of abuse against Heard in various interviews and claimed in a previous deposition that Heard was "aggressive and violent."